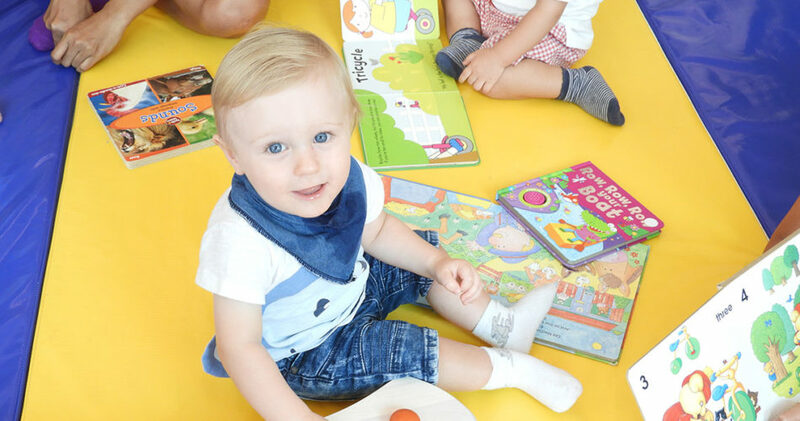 Jumpstart your playgroup with Tea & Tots – our adult-accompanied baby playgroup designed for active bubs aged 8-18 months. Here, babies will giggle and mingle, while the adults will pick up some handy play-inspiration over an energizing afternoon boost of coffee, tea and treats! Reggio-Emilia inspired and rooted in thematic and play-based learning, Tea & Tots play sessions are more structured than a typical play date at home, with circle time, magical stories, sensorial play, music & movement, and arts & crafts built into the 75-minute class. What’s more, we welcome any loving adult to accompany the kiddos, so that means anyone from mom and dad to grandparents, helpers, aunts, and uncles! Our beautiful green outdoor area includes a sandpit, enchanted tee-pee, musical wall and herb garden. We love spending time among nature and will often venture outside for sensory play. Embrace the wonder of our unique “Ocean Room.” Currently the only dedicated multi-sensory environment among international schools in Singapore that provides our students with stimulation and relaxation through the use of smell, touch, sound, color, and light. Here, they are encouraged to take their time watching fish swim by as they listen to calming waves or play with colourful fibre optic tentacles while discovering an endless stream of mesmerizing bubbles! Rooted in thematic and play-based learning, Tea & Tots play sessions are more structured than a typical play date at home, with circle time, magical stories, sensorial play, music & movement, and arts & crafts built into the 75-minute class! 4:45pm Goodbyes, sing-a-longs, and bubbles! Get to know us better by calling us directly at +65 6466 4475. We look forward to meeting you and your little one.